Sept. 9, 2016, 12:55 p.m. There appear to be a few promising signs in this year’s American Society of News Editors Diversity Survey, which was released Friday. Seventeen percent of employees at print dailies and 23 percent at digital only sites are journalists of color, the 2016 ASNE survey of 737 news organizations found. The minority workforce increased 5.6 percent from 2015 to 2016 among the 433 news organizations that participated in both this year’s and last year’s surveys. For example, 20 newspapers with circulations between 50K and 100K lost an average of 22 percent of their white employees but only 5 percent of their minority employees. Among eight newspapers with the very largest circulations (500,000+), the average loss of white employees from one year to the next was 12 percent, whereas the average gain of minority employees was 4 percent. Among the print dailies surveyed, women were 38 percent of the workforce (a number that’s been fairly consistent over the last decade based on ASNE data, Maksl told me). At online-only organizations, women make up about 50 percent. — Of all newsroom supervisors, about 13 percent were minorities and 37 percent women. — 28 percent of the news organizations surveyed reported having at least one minority journalist in the top-three editor positions. — 77 percent reported having at least one woman in a top-three position. I think we’d like to better understand “why” and “how” journalists are coming and going from newsrooms. For example, in noticing increases in minority journalists in the overall workforce this year, we might ask whether news organizations are making a concerted effort to better recruit and retain minority journalists and how they are doing so. Where we see decreases, is it because of layoffs, or buyouts, retirements, etc., and what are the demographics of the journalists who are leaving for those reasons? Where we see increases, is that young journalists in their first full-time job or is it veteran journalists moving around? ASNE first started its survey in 1978. The survey was supported by the Knight Foundation (which also supports Nieman Lab). You can read the details about this year’s methodology here. 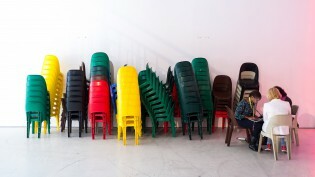 Chairs at section by Billie Grace Ward, used under a Creative Commons license. Wang, Shan. 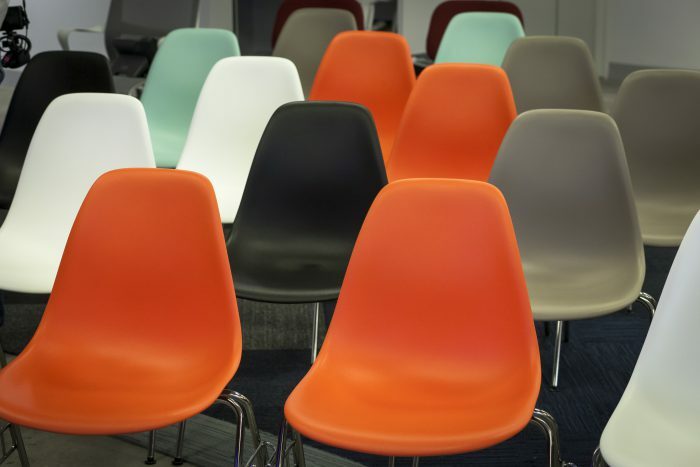 "U.S. newsrooms seem to be getting a little more diverse. But minority journalists are still, well, a minority." Nieman Journalism Lab. Nieman Foundation for Journalism at Harvard, 9 Sep. 2016. Web. 20 Apr. 2019. Wang, Shan. 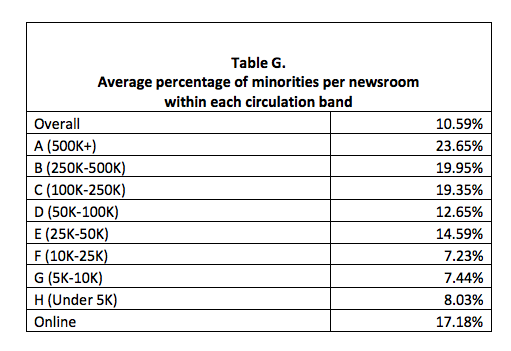 "U.S. newsrooms seem to be getting a little more diverse. But minority journalists are still, well, a minority." Nieman Journalism Lab. Last modified September 9, 2016. Accessed April 20, 2019. https://www.niemanlab.org/2016/09/u-s-newsrooms-seem-to-be-getting-a-little-more-diverse-but-minority-journalists-are-still-well-a-minority/.